Another annual sweep and installation of new rope on the stove doors, coals were still red hot so this fire get lots of use at Southminster Essex. Essex & Suffolk Sweeps are based in the South Essex area but cover all surrounding areas from Woodbridge in Suffolk right through to Kent areas. We do not contract any work out. All work undertaken will be carried out by a certified and fully insured member. By choosing Essex & Suffolk Sweeps to service your chimney, or for any of the additional Gardening and DIY services we are able to offer, you can be sure that you will receive a professional, dependable and friendly service. Most people are unaware each year in England, approximately 40-50 deaths occur from carbon monoxide poisoning. Additionally, many more people are admitted to hospital suffering from carbon monoxide poising. In addition to this, the Fire Rescue Services attended around 7,000 chimney fires each year. Many of these fires & deaths could potentially be avoided by having your chimneys and flues swept regularly by a qualified chimney sweep. Chimneys should be swept regularly to remove the build up of soot, creosote and other debris. This can be deposited from the fuel you are burning on your stove or in your fires. It is this build up which could potentially cause a chimney fire. How often your chimney should be swept is dependent on what fuel you are burning. Essex & Suffolk Sweeps are based in the South Essex area but cover all surrounding areas from Woodbridge in Suffolk right through to Kent areas. We do not contract any work out and all works undertaken will be carried out by a certified and fully insured member of the Guild of Master Chimney Sweeps. By choosing Essex & Suffolk Sweeps to service your chimney, or for any of the additional Gardening and DIY services we are able to offer, you can be sure that you will receive a professional, dependable and friendly service. 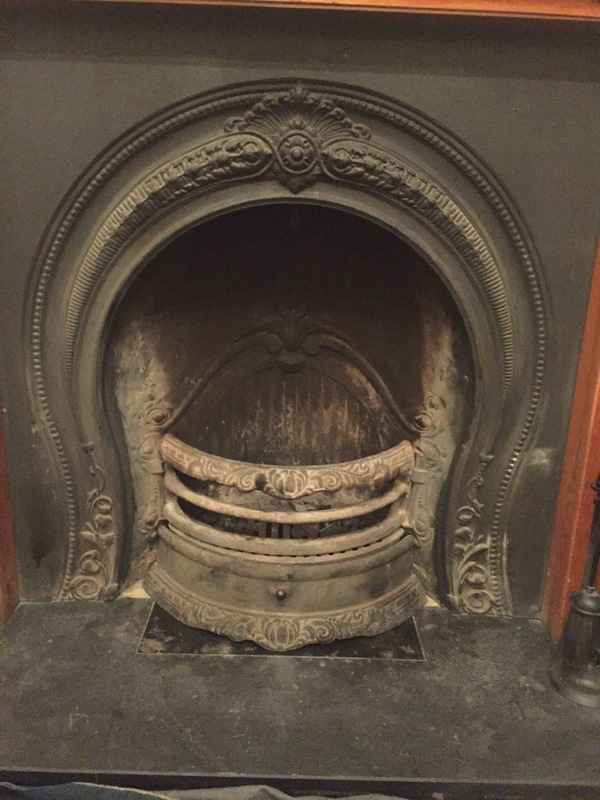 Chimneys should be swept regularly to remove the build up of soot, creosote and other debris which are deposited from the fuel you are burning on your stove or in your fires. It is this build up which could potentially cause a chimney fire. How often your chimney should be swept is dependent on what fuel you are burning. Firefighters from Cambridgeshire Fire & Rescue Service black watch team want you to remember to clean your chimney or flue. What better way to do this that to make a song and dance about it- Mary Poppins style! Click here to watch the full video! 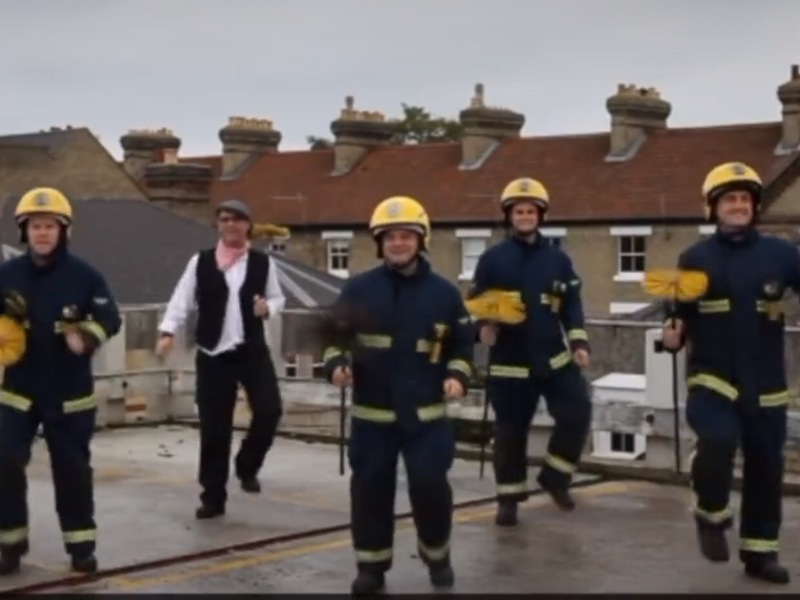 Whilst this clip shows the lighter side of Fire Safety, it does promote an important message. Get your chimney swept regularly to avoid build up, which ultimately causes a fire. Most people are unaware that there are approximately 40-50 deaths from Carbon Monoxide poising in the UK alone. This figure doesn’t include the many more victims who are admitted to hospital from Carbon Monoxide poisoning. On average, fire rescue services attend around 7,000 chimney fires each year. Chimney and Flue fires are a contributing factor to the current strain emergency services have on resources. 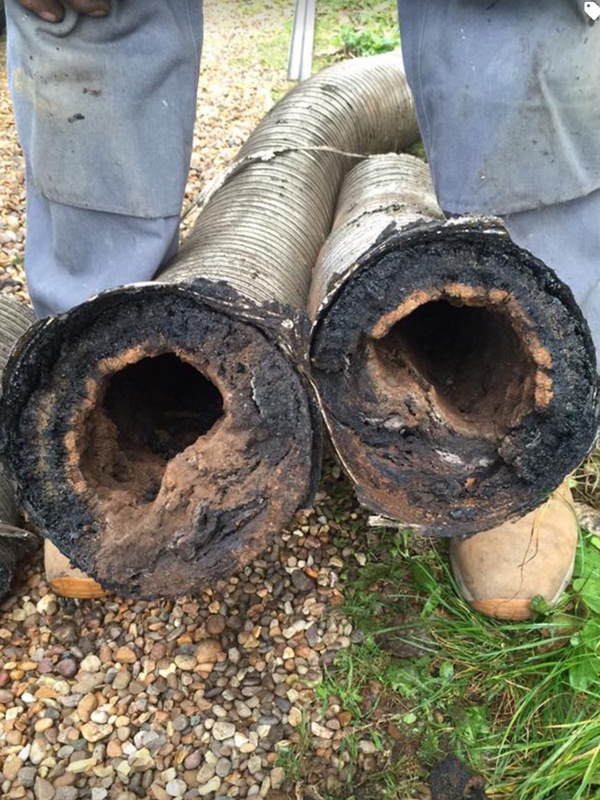 Something which a simple Chimney or Flue sweep by a professional can help prevent. When should you have your Chimney or Flue swept? We do not contract any work out and all works undertaken will be carried out by a certified and fully insured member of the Guild of Master Chimney Sweeps. By choosing Essex & Suffolk Sweeps to service your chimney, or for any of the additional Gardening and DIY services we are able to offer, you can be sure that you will receive a professional, dependable and friendly service. Once your chimney or flue has been swept you should be issued with a Chimney Safety Certificate which is recognised by all leading insurance companies. The Telegraph recently published an article written by the talented Victoria Lambert emphasising on the importance of having your chimney swept regularly. Victoria was made aware of the dangers of not having your chimney swept one night when hers caught fire. Thankfully, herself, her family were not harmed and her house wasn’t too badly damaged. Many home owners are not aware of the potential dangers lurking when they postpone or forget to get their chimney swept. ‘Our blaze was one of the 7,000 chimney fires that ignite every year in England – which is a rate of about 20 a week, although they obviously cluster around now. Some can spread, causing serious damage. And most are, according to the Government’s Fire Kills safety campaign, utterly preventable. The majority of insurance companies now require chimneys and flues to be swept regularly. This is an integrated part of the insurances terms and conditions. Insurance companies will not pay for a claim where intervals between sweeps have been observed and documented by certification. Our dedicated team can ensure you of a clean Chimney or Flue ready for use! We do not contract out any of our work. All work is done by a fully insured member of staff. Essex & Suffolk Sweeps are based in the South Essex area but cover all surrounding areas from Woodbridge in Suffolk right through to Kent areas. A really overlooked part of your home is having your chimney swept regularly. If you have an open fire or wood burning stove you could be emitting seriously harmful fumes into your home, potentially endangering your family and children. Chimney Sweeping should be carried out regularly to remove the build up of soot, creosote and other debris. These are commonly deposited from the fuel you are burning on your stove or in your fire. It is this build-up which could potentially cause a chimney fire. 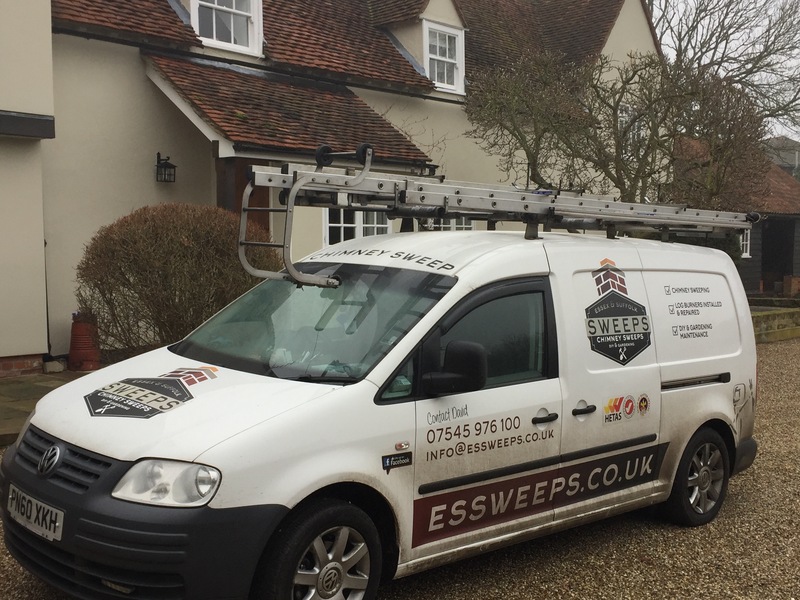 Essex and Suffolk Sweeps provides a friendly and reliable service, we do not contract out any of our work, and we are fully insured and members of the Guild of Master Chimney Sweeps. 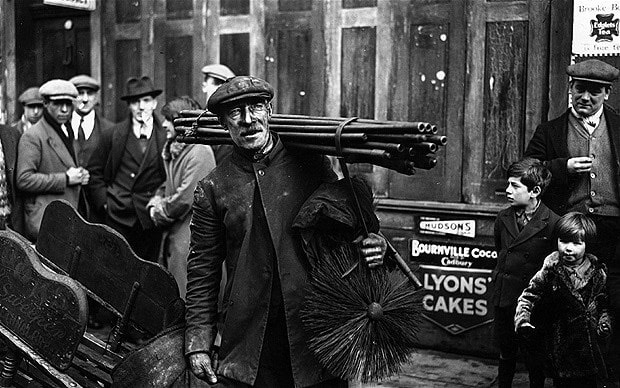 Wanting your Chimney Sweeping? Speak to Essex & Suffolk Sweeps on 07545976100 or e-mail on info@essweeps.co.uk as we are now taking bookings for this season. Please share this post as a chimney sweep could be your life saver! Installing or Reopening a Fireplace? Cold outside? Book your Chimney Sweep! Getting your Chimney Swept regularly is important when keeping yourself, your family and your home safe. 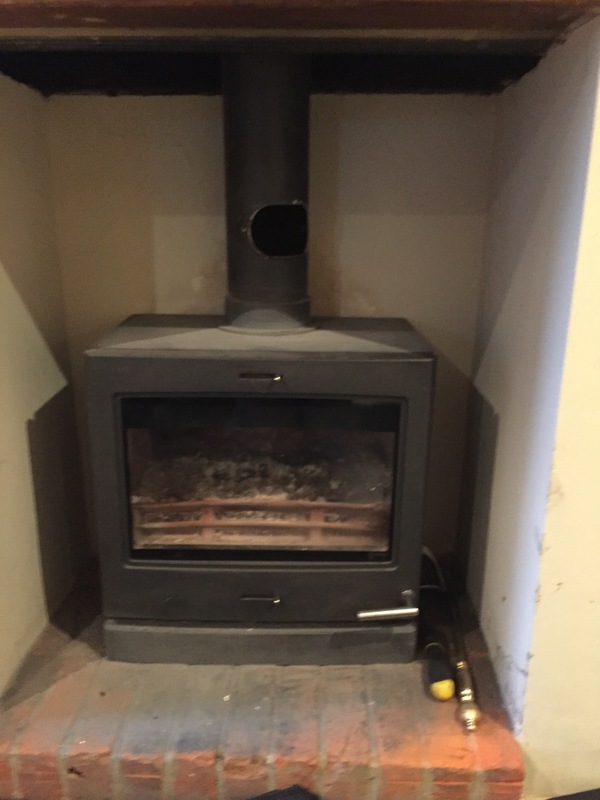 Essex and Suffolk Sweeps recommend that the more you use your chimney the more it’s cleaned, especially if you are burning wood. Most people are unaware of the potential dangers caused if you don’t get your chimney swept. The most common being fires caused by the build up of soot. According to research, 40-50 deaths occur every year in the UK due to Carbon Monoxide poisoning. Many more individuals are admitted to hospital. Whilst, the Fire Services are called out to around 7,000 Chimney fires every year, this causing a severe strain on their time and resources. 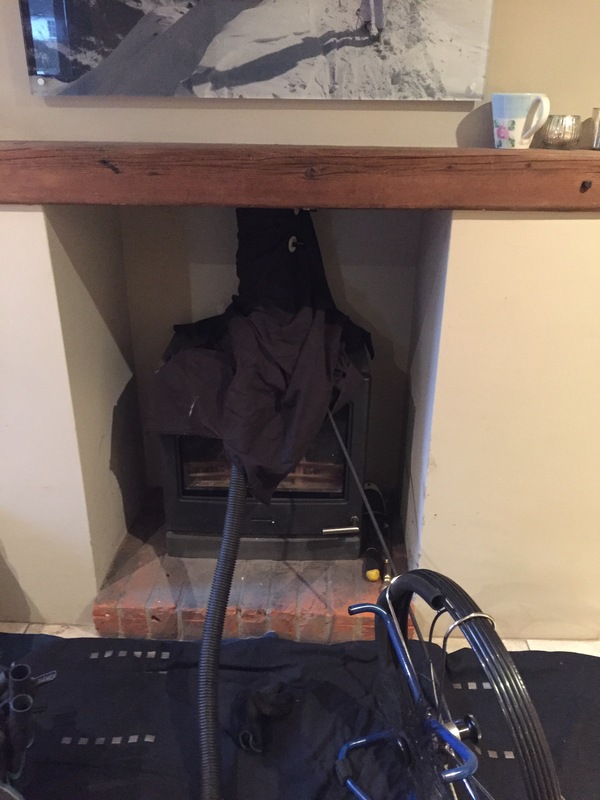 We have a dedicated team of Chimney Sweeps working in the South Essex area, however, we do cover the surrounding areas from Woodbridge right through to Kent. All work carried out by us is certified and insured to give you peace of mind. All certification distributed by ourselves is acknowledge by all major insurance companies. If you are looking for a reliable, professional and friendly service to advise you on your Chimney and to conduct a full-service Chimney Sweep please do not hesitate in contacting us. The season is cold enough that you’ll be lighting your fires and stoves. 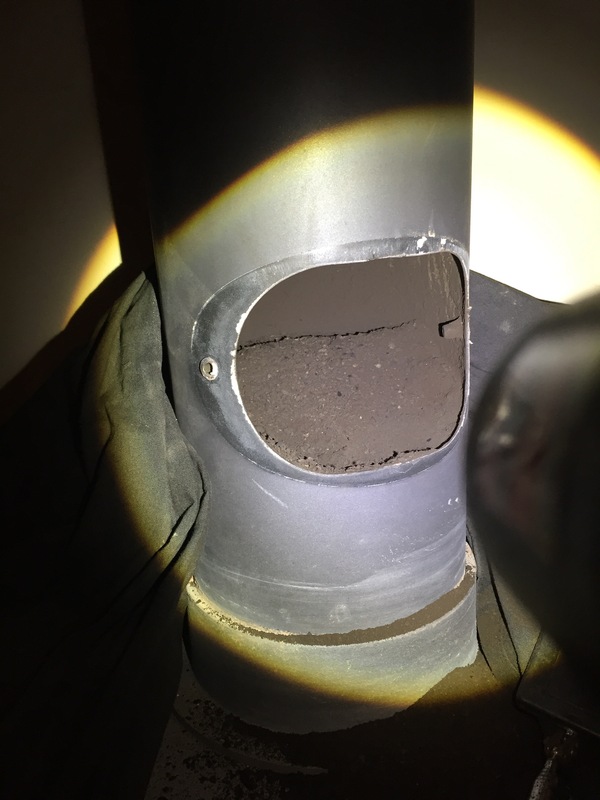 Have you had your chimney swept in the last twelve months? If not, it’s even more important now as the soot will have built up over the burning season. Chimneys should be swept regularly to remove the build up of soot, creosote and other debris. 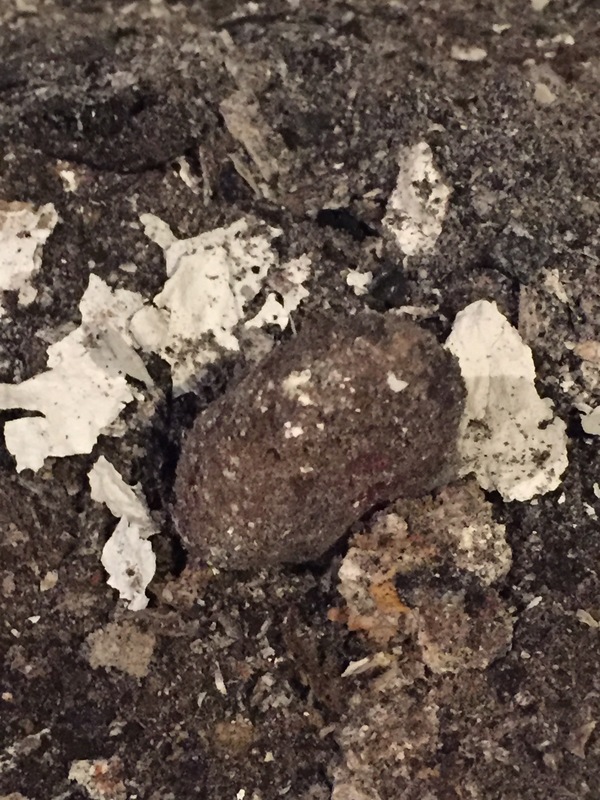 This is deposited from the fuel you are burning on your stove or in your fires. It is this build up which could potentially cause a chimney fire. How often your chimney should be swept is dependent on what fuel you are burning. Smokeless coals: At least once a year. Wood: Once a season when in use. Bitumous coal: Twice a year. 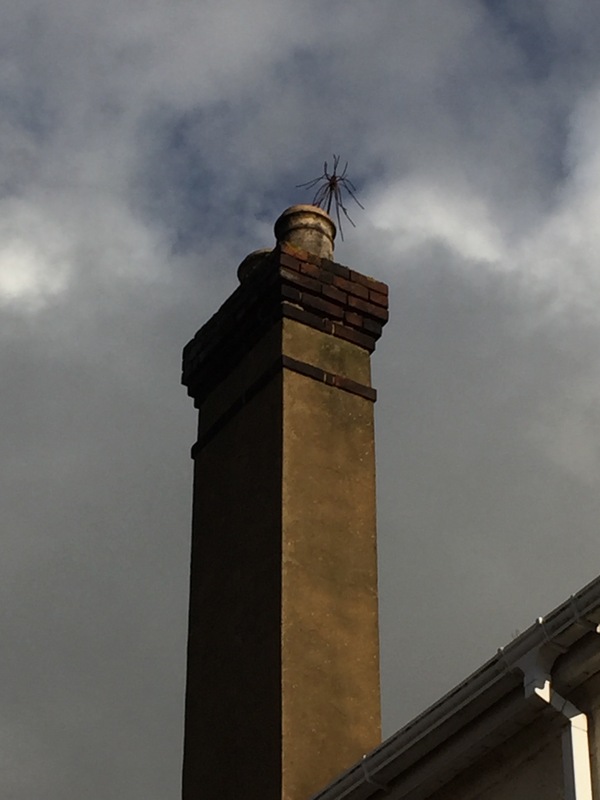 The majority of insurance companies require chimneys and flues to be swept as part of the insurance terms and conditions. Many insurance companies will also not pay for a claim where intervals between sweeps have been observed and documented by certification. Be assured that once your chimney or flue has been swept you should be issued with a Chimney Safety Certificate which is recognised by all leading insurance companies. As a Guild member sweep you will receive this certificate from Essex & Suffolk Sweeps on completion of works along with a smoke draw test which we perform on all chimneys at no additional charge. All work undertaken will be carried out by a certified and fully insured member of the Guild of Master Chimney Sweeps. 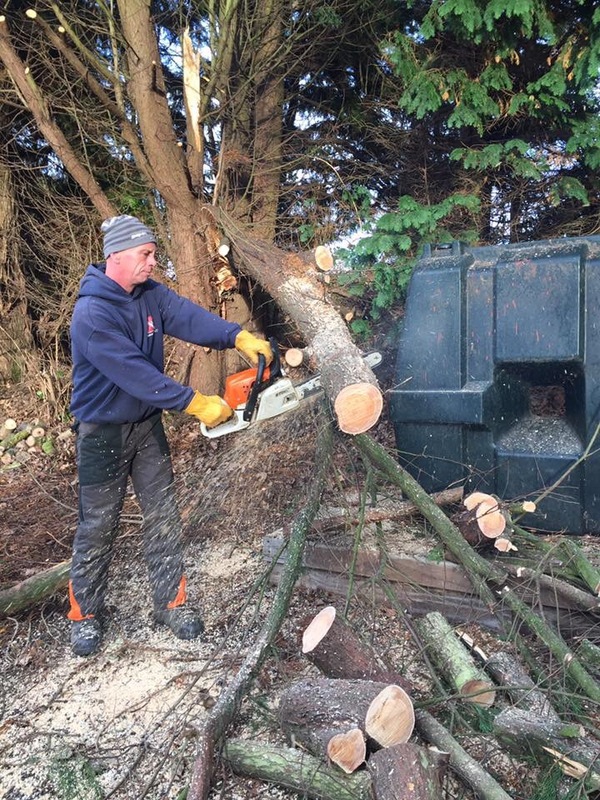 Taking a break from the sweeping today and instead donning the chainsaw boots and trousers whilst helping out a friend with some rather large trees. We do not contract any work out and all works undertaken will be carried out by a certified and fully insured member of the Guild of Master Chimney Sweeps. By choosing Essex & Suffolk Sweeps to service your chimney, or for any of the additional Gardening and DIY services we are able to offer, you can be sure that you will receive a professional, dependable and friendly service. For more information on how we can help you contact us. Essex and Suffolk Sweeps are based in the South Essex area. However, we but cover all surrounding areas from Woodbridge in Suffolk right through to Kent areas. We do not contract any work out and all works undertaken will be carried out by a certified and fully insured member of the Guild of Master Chimney Sweeps. By choosing Essex & Suffolk Sweeps we guarantee you will receive a professional, dependable and friendly service.